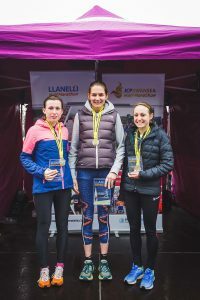 As Wales’ biggest winter race draws nearer, athletes and spectators alike begin to feel the excitement of the event that is to come. With only a few days to go until the Llanelli Half Marathon takes place this Sunday 10th February, Llanelli will be welcoming visitors from Wales and beyond, with the races’ largest number of participants to date. Exceeding the number of entrants of every previous race, a field of 2,500 runners are expected at the third edition of the Llanelli Half Marathon since Front Runner Events Ltd took over the race at the end of 2016. The event has recently been voted the UK’s Best Half Marathon (under 5000 participants) at The Running Awards 2018, and is attracting runners to take part in this race like never before. 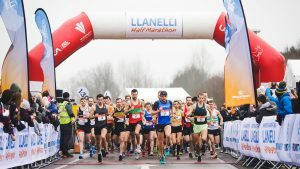 The Llanelli Half Marathon is perfectly timed to blow off those cobwebs, with a flat, fast and scenic 13.1 mile course, which is equally suitable for first-time runners as it is for club runners, and elite athletes. Many runners lining up on the start line will also be raising money for charity, getting into the spirit by donning their best fancy dress, as well as one runner carrying a 20kg bergan. Families will also be pleased to know that they can join in too at this year’s Family Fun Run. Enabling young runners and families to experience the thrilling atmosphere of a big sporting event in Llanelli, the fun run will take in 2KM of the half marathon route. Participants will be able to be get that finish line feeling as they reach the official finish outside Parc Y Scarlets, before cheering on the athletes of the main event. Starting at Parc Y Scarlets at 9.15am, the fun run will take place once the half marathon runners have passed the first half mile of the Half Marathon route. There are limited spaces remaining for the Family Fun Run and those wishing to take part can still enter via the website: www.llanellihalf.co.uk Anyone interested MUST register before midnight on Thursday 7th February 2019 as no entries will be taken during the event. Family Fun Run bibs will be collected at the Information Point on Level 1 of Parc Y Scarlets on race day. Participating athletes will be keen to know that there will be a team of race pacers supporting runners at this year’s Llanelli Half Marathon. The team of pacers are all volunteers from local running clubs offering fantastic support, to help runners get their pacing spot on, enabling them to hit their target time on race day. The pacers will run the race in the following estimated times: 1.30, 1.45, 2.00 and 2.30 hours. Runners simply need to look out for their pacer within their designated coded pen and try to stay with them throughout the race to ensure accurate timing. Race Facilities will be located in and around Parc Y Scarlets which is open to athletes and spectators from 7.30am on race day, and will host the information point, massage area, catering facilities & baggage lorry. The baggage lorry will be at the East Stand car park of Parc Y Scarlets with security measures in place. Runners are being advised to avoid bringing a bag, but if they must, ALL bags must be clearly labelled using the bag tag from your Race Pack and will be subject to inspection. The race will start at 9.00am from outside of Parc Y Scarlets. The route takes runners on fully closed roads past Parc Trostre along the Coastal Link Road to Sandy Water Park and along the Millennium Coastal Path (MCP) to Pwll where the runners will turn and head back towards Parc Y Scarlets via the MCP and the A484. The wheelchair race will start prior to the main field of runners and the Family Fun Run will commence at 9.15am. 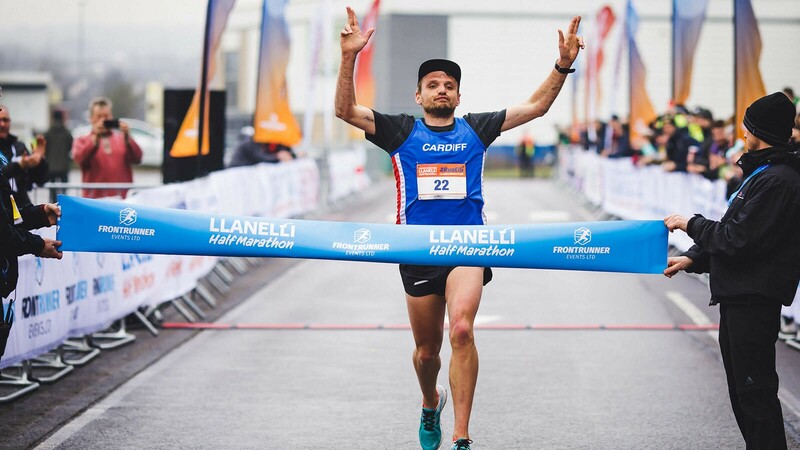 Winners of the 2018 Llanelli Half Marathon include Cardiff AC; Matthew Clowes who took first place in the time of 65:14, and Swansea Harrier; Caryl Jones who coasted her way to victory in a time of 74:21. Organisers hope to see both Matthew and Caryl back to defend their titles. 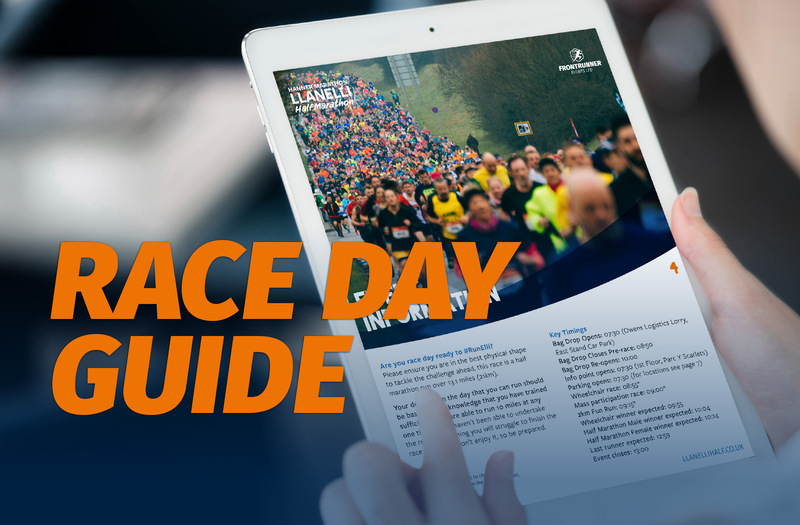 For further event details or to follow your loved one on the live results to see how they are doing out on the course you can via Race Tracking online here: https://live.sporthive.com/event/5818/Live To stay ahead of all the news as it happens like the Facebook page: www.facebook.com/LlanelliHalf or follow @LlanelliHalf #RunElli #BeYourBest on Twitter and @Llanellihalfmarathon on Instagram.